I just discovered a really great quote. In 1997, Steve Jobs put it so eloquently. 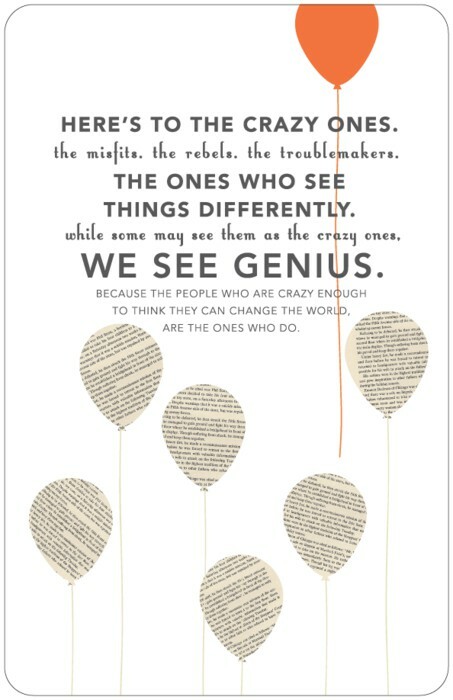 In posters for Apple, this quote completely resonates with me and I didn’t know they existed until now. Sounds like the essence of a shift disturber for sure. ← How to be a Shift Disturber?